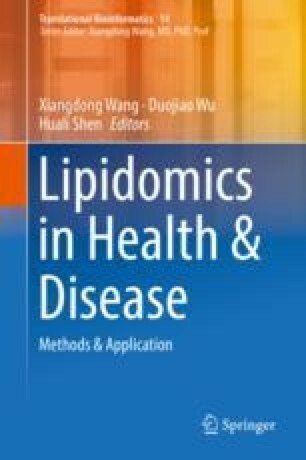 Multiple studies established the causal relationship between elevated levels of low density lipoproteins (LDL) and their oxidized modifications, oxidized LDL, and atherosclerosis. However, while it is generally recognized that LDL oxidation occurs mainly in the sub-endothelial space within the vascular wall, the role of circulating oxLDL in the development of the disease remains a matter of debate. There is also significant confusion in the field regarding the levels of oxLDL that occur in vivo, partly because of the complex and heterogeneous nature of the oxLDL particle and the discrepancies between the methods used for its detection. In this chapter, therefore, we first present different analytical methods used to evaluate the level, the state of oxidation and the lipid composition of oxLDL, which represents the basis of the lipidomics analysis of the circulating LDL. This is followed by presenting the current state of knowledge about the levels of circulating oxLDL and its two major components, oxidized phospholipids, oxPCs and oxysterols in human plasma and their association with the cardiovascular outcomes across multiple studies and cohorts of patients. Taken together, these studies present strong evidence for the circulating oxLDL and specific oxysterols to constitute independent risk factors for the development of atherosclerosis. We are grateful to Mr. Gregory Kowalsky for helping with the preparation of the figures. This study is supported by NIH grants HL-073965 and HL-083298 to I.L.